Just getting started in the caching world or perhaps you just want to top up the cache container stock levels a bit? The Caching Starter Kit is just what you are after. 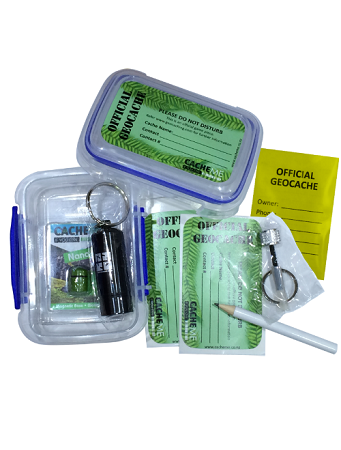 It has a good range of products, and will have you placing your first (or 100th) cache in no time. This equates to some good value for money. Just check out what the kit comes with!